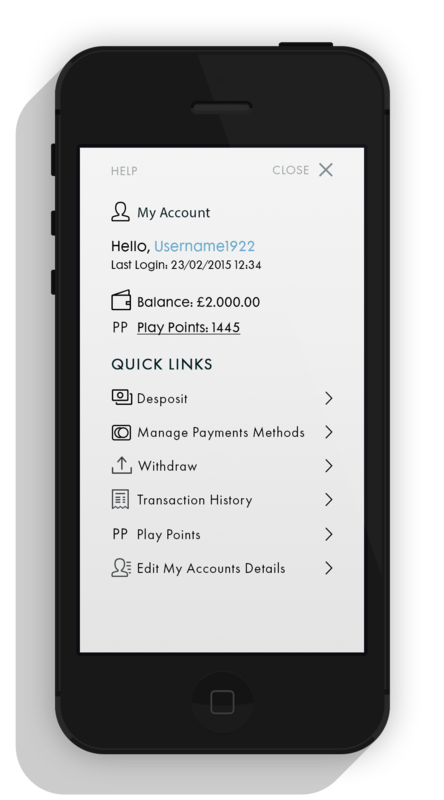 Grosvenor Casinos needed new .mobi site that worked for all mobile devises that people could easy navigate and explore the site. The design looks friendly, better organised and with a clear emphasis on what is a game and what is a promotion. All the main navigation elements are at the top to the site followed by the hero carousel. Categorised game are then listed below, if the customer is logged in recently played games are displayed first. The games can be swiped to scroll through to see more. The footer the was cleaned up and decluttered from the previous mess. 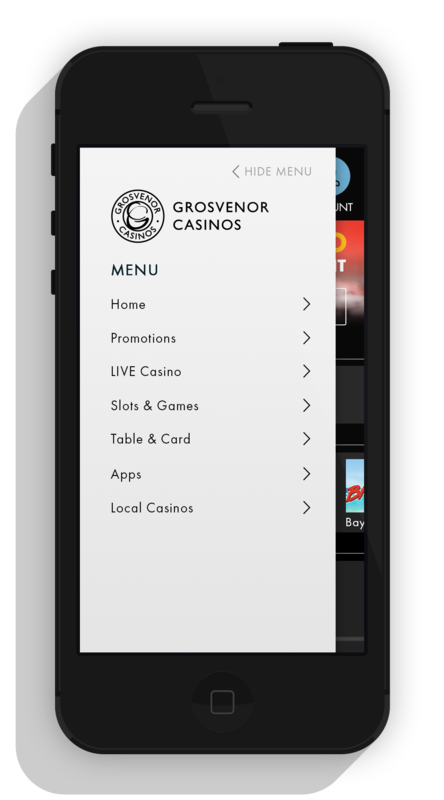 Other parts of the Grosvenor Casinos were redesigned to be made responsive for the mobile experience as well like Local Casino and Registration. After the release of the responsive site traffic went up 30% and was well received.